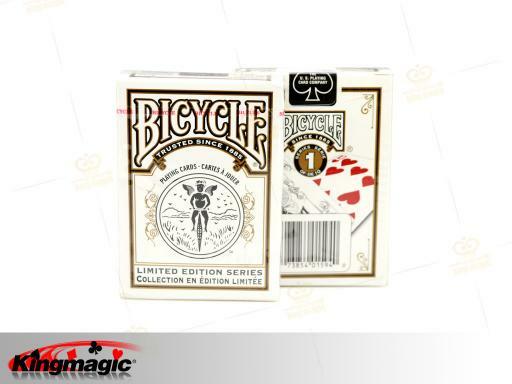 Bicycle introduced thefirst of a series of 10 Limited Editionplaying card decks that will appeal to collectors and players everywhere. 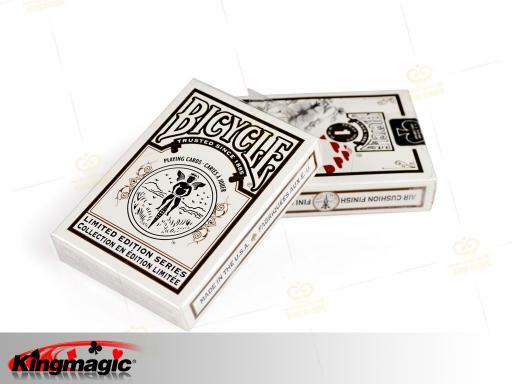 These decks are traditional Bicycle quality, but with some new twists to appeal to collectors and even magicians. Note the backs are a simpler, cleaner version of the traditional Rider Back in black and white. The jokers are redesigned specifically for this series. The card faces are standard index, the same courts and fonts seen for years on Bicycle decks. Each deck also includes two advertising cards. The cards have Air Cushion Finish.